Item Number: 66-7-113 18240 Actual Weight: 2 lbs. Provides extra protection in hazardous environments. Ambidextrous gloves have extra thickness at the fingertips that is over 5 times the ASTM standard. Beaded cuff provides added protection over the wrist. Glove meets or exceeds the emergency medical glove requirements of NFPA 1999, Standard on Protective Clothing for Emergency Medical Operations, 2003 edition. 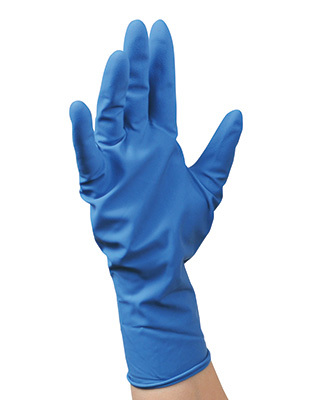 Helps meet OSHA requirements for exposure to bloodborne pathogens.